Rich, Smooth, Satisfying. This dark, full-bodied coffee has a smooth finish and smoky chocolate notes without the caffeine. Great for an after dinner treat. 100% Rainforest Alliance Certified. 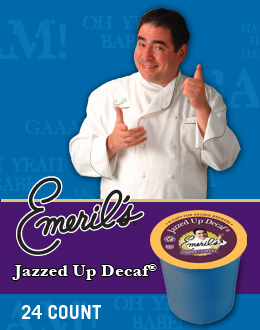 Emeril’s Jazzed Up Decaf is a dark, rich, full-bodied coffee that is smooth and satisfying. AND it’s 100% Rainforest Alliance Certified, so you can feel good about what you’re drinking! 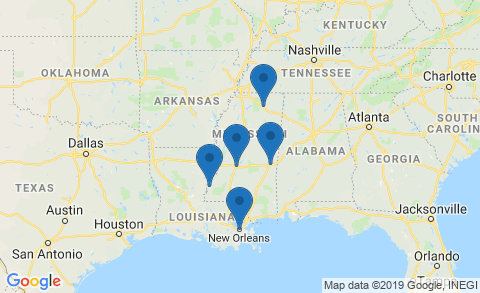 Sourced from all over the world, Emeril’s® coffees represent the highest standard of excellence. These robust and sumptuous coffees create a flavorful cup that meets the exacting standards of Emeril Lagasse himself.